In few days, xili-language version 2.4 will be shipped. In the joined pdf, it is a short presentation how xili-language works with language .mo files and what is new in the next version. These concern mainly the way how dates translation will work now. For commenting or contributing, use the forum xili-language part. 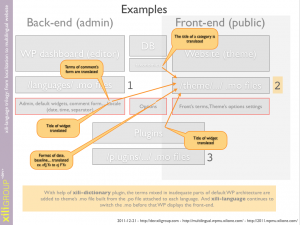 Prerequisite : a minimum of knowledges in WP, PHP and localization (.mo, .po). 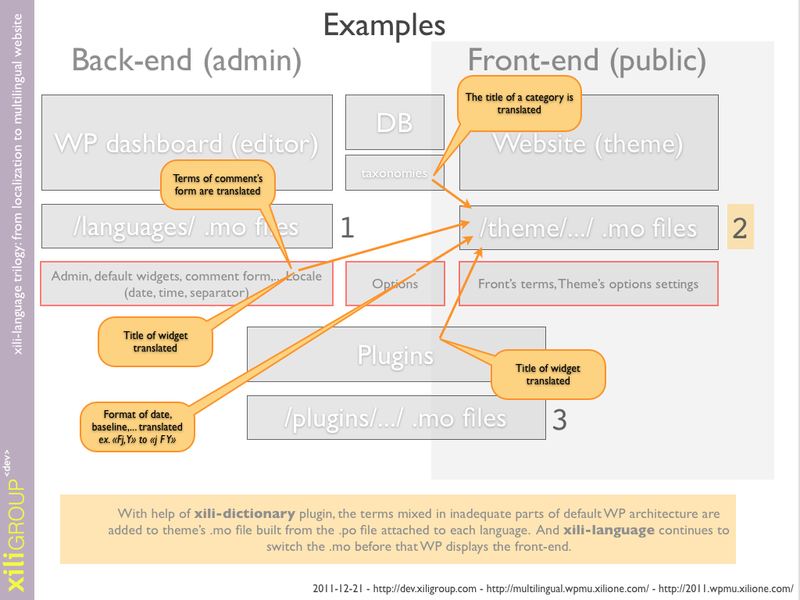 Ce contenu a été publié dans Experts corner, xili-language, avec comme mot(s)-clé(s) CMS, localization, multilingual, php, plugin, theme, translation, widget, wordpress. Vous pouvez le mettre en favoris avec ce permalien.